A defective product can impact your health for the worse in almost any aspect of your life. From motor vehicles with shrapnel-spewing airbags to highly flammable children’s pajamas, many everyday products are potentially harmful. When one of these defective products ends up causing you harm, it is important to know you have the right to pursue a legal action against the responsible parties. It is also helpful to understand the different types of product liability claims you can pursue. Read on to learn more about these common types of product liability claims. Using highly flammable materials to make pajamas for children is an example of a product that is inherently dangerous based on its design alone. Likewise, a strong argument can be made that a chainsaw needs an automatic turn off feature (sometimes called a deadman’s switch) to prevent accidents in the event the operator loses control of the device. We would argue that failure to provide such a device is a design defect. A manufacturing defect is different from a design defect because the source of the product defect lies not in the design, but rather, with the manufacturer’s use of defective materials or its failure to follow its own design. An example of a manufacturing defect we handled involved a car accident that killed a pedestrian on a hill when the car unexpectedly jumped out of Park. Our investigation discovered the metal used in the transmission gears was too soft and did not comply with the hardness standards specified by the manufacturer’s own engineers. These type of product liability claims focus on things like failure to include proper instructions or labels warning of dangers associated with a product. This can happen on a wide array of products, from over-the-counter drugs to common household products .For drugs, the warning label might fail to detail the dangers associated with mixing the drug with other medications. For common household products such as ammonia and bleach, their labels should warn users that mixing the two products together or using one right after the other, can create toxic chlorine gas. 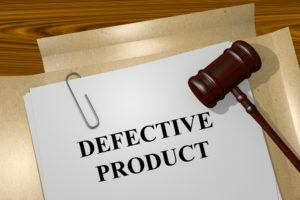 If you attempt to hold a large manufacturer or retailer accountable for defective products, you can usually expect to encounter fierce resistance to the claim from an army of lawyers hired by well-heeled defendants. In order to have a sound and successful product liability claim, you should seek the expertise of an experienced personal injury lawyer . Product liability claims can be complex because you must determine who to hold accountable for any injuries you may have suffered. An experienced lawyer is needed to find the right party and the right expert witnesses to hold them accountable. In your time of need, you should turn to the New Jersey legal team at Team Law. With decades of experience handling product liability cases, we can maximize your chances for success. We will fight for full and fair compensation for your injuries while you concentrate on physical recovery. Contact us today by calling (732) 540-1394 or by filling out the online form. Our main office is located at 136 Central Ave, Clark, NJ 07066. We have additional offices located in West New York, Perth Amboy, Edison, Highland Park, Newark, New Brunswick, Orange, Plainfield, and Jersey City, NJ.